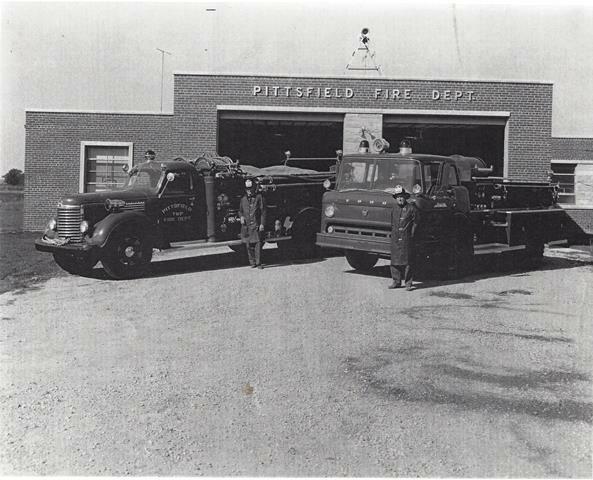 The Pittsfield Township fire department was established in 1948. At that time, the department consisted of 18 firefighters and a 1948 Barton American 500 gallons per minute (g.p.m.) fire truck that carried 800 gallons of water and cost $13,000. The first fire station was at State St. and Ellsworth in Harold Losey’s garage. Harold was also the department’s first Fire Chief from 1948 to 1954. In 1954, a new fire station was built which also housed the Township offices. The Township officials wanted Harold Losey to continue as Fire Chief, but part of the Chief’s duties at the time required him to maintain the building, since he could not meet the added demands, he retired as Chief. The same year Norm Thompson was hired as custodian, and the Fire Chief’s responsibilities were given to him even though he did not have any fire training or knowledge of fire services since none were required. A second truck was purchased in 1958 and it was a high-pressure John Bean and like the 1948 it carried 800 gallons of water, but it had a high-pressure pump. When the truck was six months old, while on a call to a car fire on east bound I-94, Chief Thompson parked the truck next to the car in the right hand lane of traffic. Due to the weather conditions, the driver of an eastbound truck did not see the emergency equipment in the road. The truck smashed into the rear of the fire truck, pushing it into a Washtenaw County Sheriff’s car, injuring Deputy Ewald seriously. The crash only resulted in one injury, although the truck was not repairable. 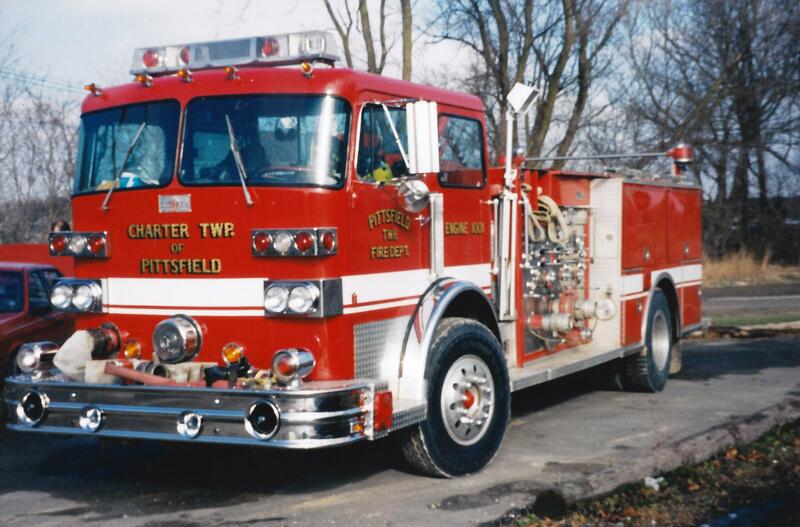 This prompted the township to buy a new 1959 fire truck as a replacement. In 1965, James H. Kay was hired as the first full time Assistant Fire Chief; there had been nine part time Assistant Chiefs before him. In 1967, due to his health Chief Thompson retired and James H. Kay was appointed Fire Chief. 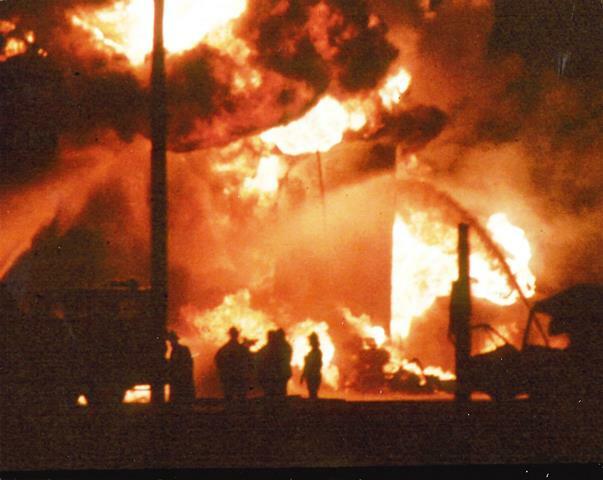 While he was Chief, the department’s weekly meetings were changed to training sessions, tanker drills were run, and training burns were initiated using unwanted structures. The department became more proactive by moving towards a more professional approach to fire operations. In 1968 township purchased a Barton American 1000 g.p.m. truck with a 1000-gallon water tank. It had one pre-connected 2½” and one 1½” hose line, and a pre-connected deluge gun. In 1970, James C. Kay was hired as Assistant Chief and he brought many years of fire service experience to the department, adding to its professional structure of improved training and equipment. 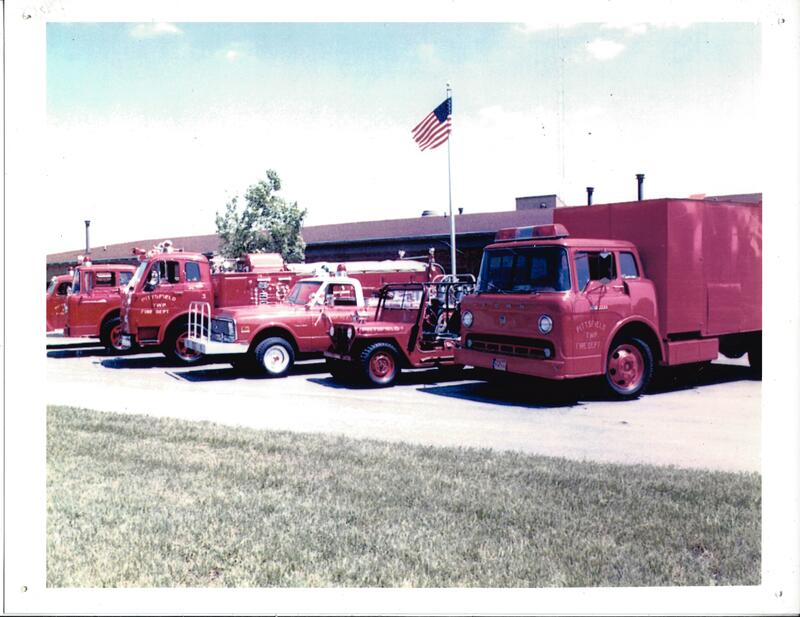 In 1971, the department needed a more versatile piece of equipment for grass fires, something that could get in where the big trucks could not; a Chevrolet four-wheel drive pickup was added to the fleet. A 200 g.p.m. pump with a 3 horsepower(hp) engine was installed on the pickup, as well as an extended bumper with a guardrail and two garden hoses attached to it. This enabled firefighters to ride safely on the front bumper and put grass fires out effectively. The truck also had a 100’ garden hose on a reel and four Indian pumps for grass fires. 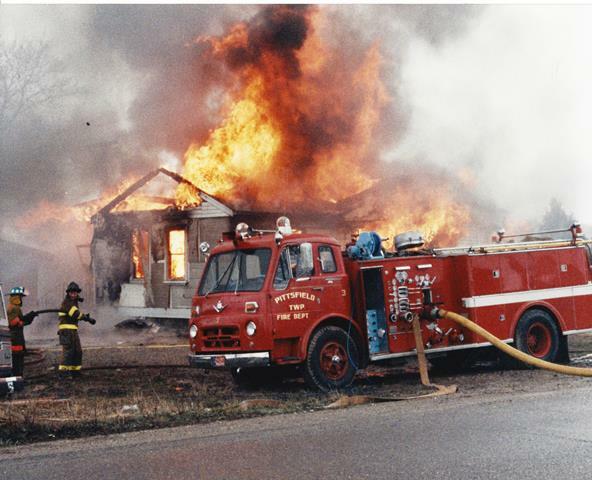 Two pre-connected 1½ hoses were installed for larger grass fires and small structure fires. In 1972, the department received a 2500-gallon Air Force refueling tanker to turn into a water tanker. First it was re-piped to make use of its 600 g.p.m. pump then painted fire service red to match the rest of the fleet. In 1973, after two years of research and reviewing many types of aerial apparatus, the fire department and Township board decided to purchase a Sutphen 85’ Aerial Tower. At the same time they purchased a 1250 g.p.m. pumper to be delivered eighteen months after the tower. The department also received a military 6x6 from the Department of Natural Resources that year. It was made into a heavy military squad by the firefighters who built a box on the back and installed shelves, a 7.5 Kilowatt generator for lights, and a 6 bottle 3000 p.s.i. air cascade system for filling S.C.B.A. bottles. 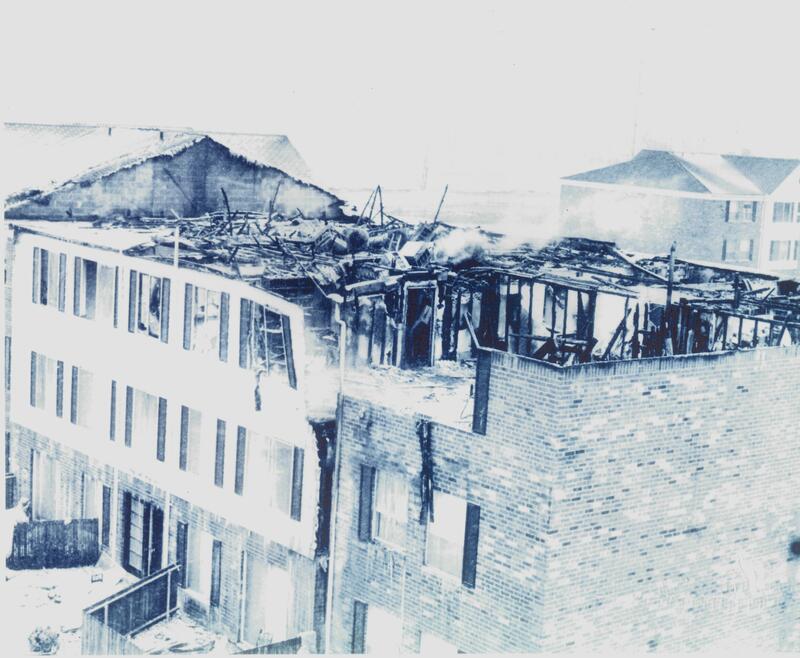 In March of 1974, the need for additional equipment was recognized after there was a major fire at the Woodland Hills Apartments (now known as Evergreen Pointe). The fire left two people dead and was believed to be arson but no one was ever prosecuted. The increasing demand for fire services and the decrease in volunteers caused the department to hire two full time firefighters. With the Chief and Assistant Chief this gave the department four on duty personnel for responding to fires in the township. The increase also led to the township officials recognizing that the fire department had outgrown the current facilities, and the process to build a new fire station began. 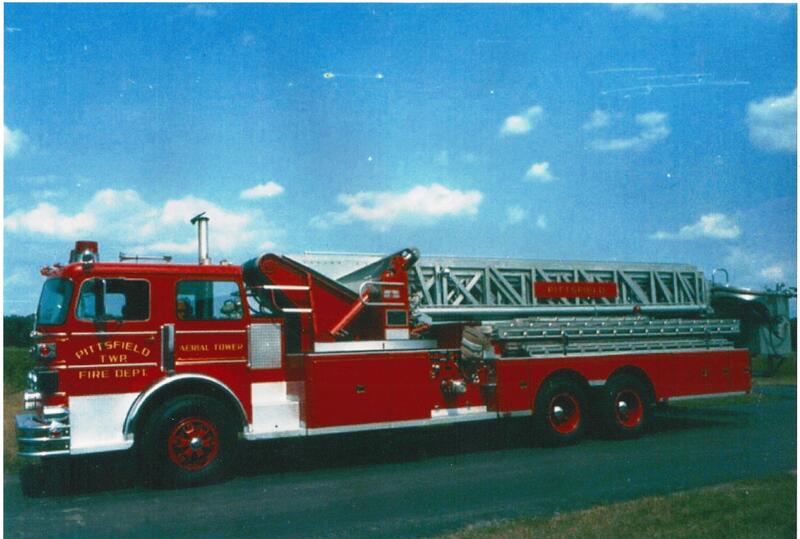 In 1975, after two years of construction, the Sutphen Tower Ladder was delivered to the township. This was the first apparatus of its kind in the area. It required special training for our firefighters. It rose to 85 feet and had an enclosure on the end (also known as a "bucket") where firefighters can stand and operate from to fight the fire as well as rescue people from upper floors of a building. 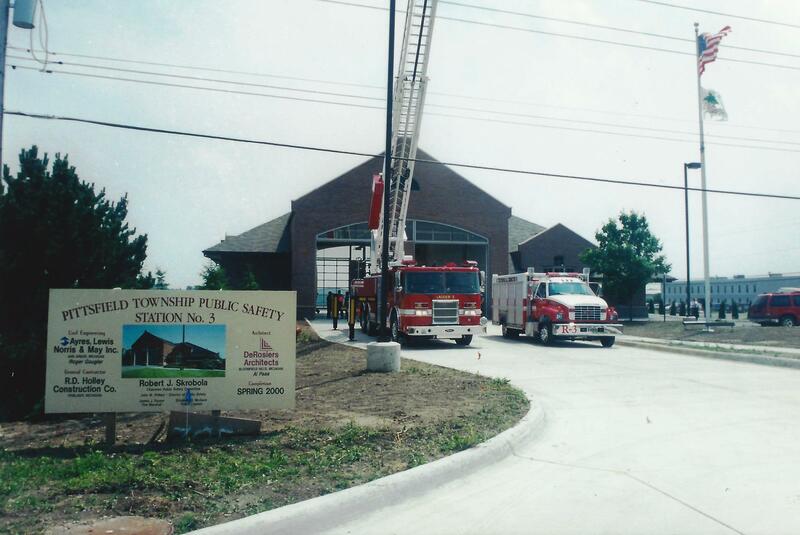 The aerial tower arrived before the new station was completed and was temporarily housed in a vacant building on State Circle and subsequently moved to Saline Fire Department until the station was completed. In November the new fire station located at Michigan west of Platt Road was completed and all operations were moved there closing the fire station at Ellsworth and State Road. In June of 1976, a Sutphen Corporation engine, which had a 1250 gallons per minute(g.p.m.) pump and carried 700 gallons of water, was delivered to the township. In July James C. Kay left Pittsfield Township Fire Department for a position with Ann Arbor City Fire Department and was replaced by Dave Razor as Assistant Chief. 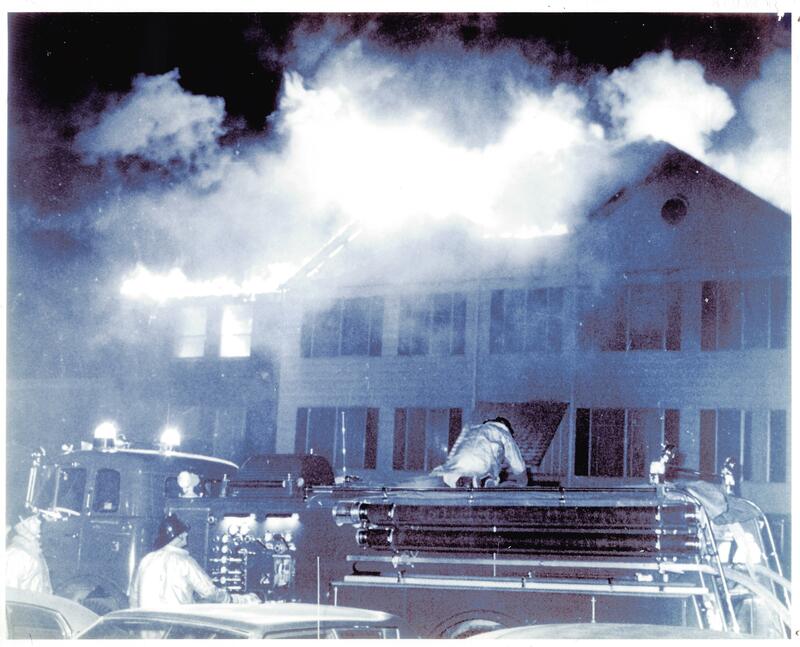 In 1979, the department responded to two major incidents within ten days. 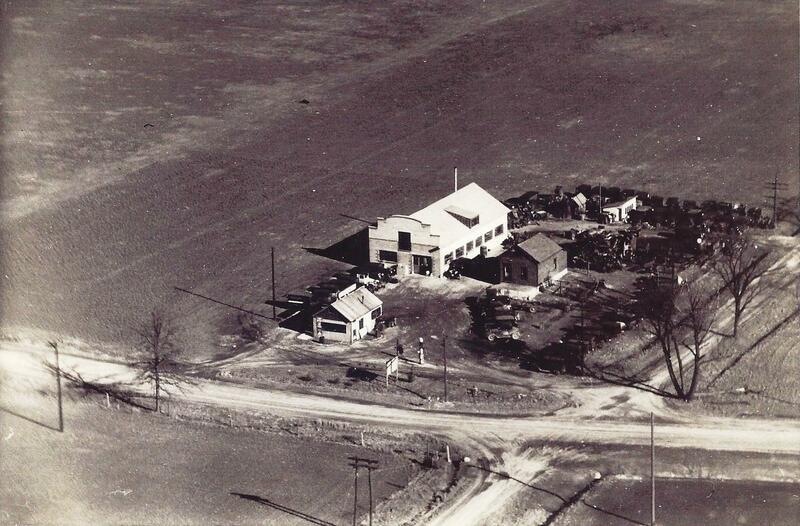 The first was at Gallup Silkworth fuel storage facility, the second was Washtenaw Farmer's Oil on Carpenter Rd. 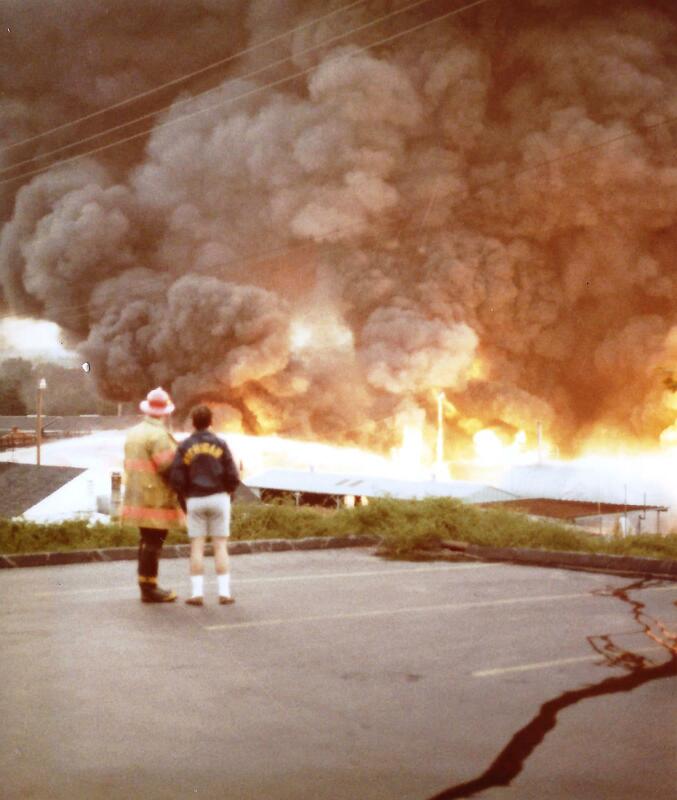 At the second fire, a 30,000-gallon diesel storage tank exploded, became airborne and crushed the 1976 Sutphen engine. A firefighter operating a deluge gun on top of the engine exited the truck just before the explosion of the storage tank. 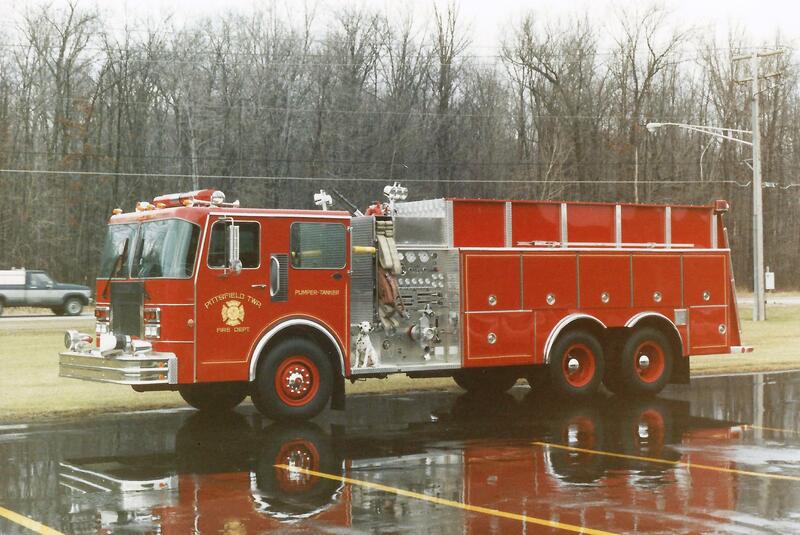 In 1981, the Township purchased another Sutphen engine, with a 1250 g.p.m. pump and a 1,000 gallon water tank. The expansion of the department continued with the addition of another full time firefighter. In 1983, Dave Razor left the department, and James Payeur was named acting Assistant Fire Chief. The township began to evaluate how the police and fire departments were run, and in 1984 appointed the first Public Safety Director to oversee both police and fire operations. That same year the department purchased extrication equipment, also known as the “Jaws of Life”. After extensive training the firefighters began responding on vehicle accidents to assist in rendering immediate life-saving techniques. 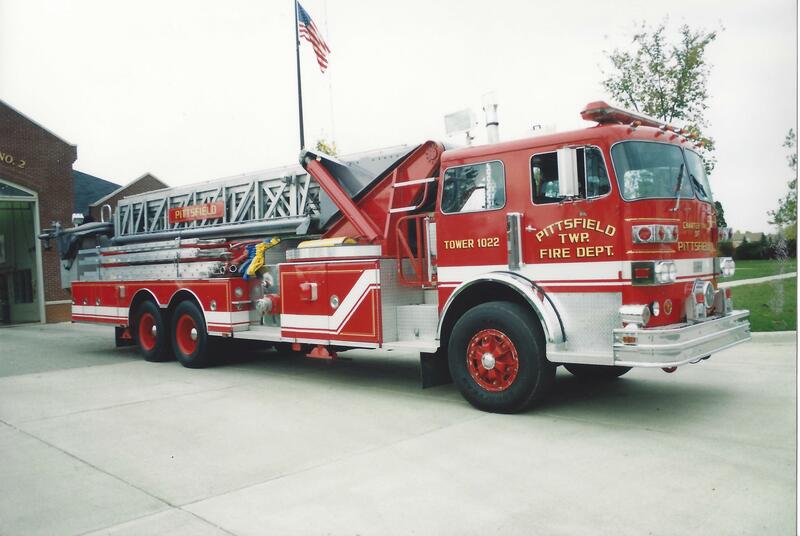 In 1985, James H. Kay retired as Pittsfield Township Fire Chief and during his tenure he provided the foundation for the future of Pittsfield’s fire department. His strong commitment to training and fire suppression tactics are still influencing the firefighters of Pittsfield today. After his retirement, the department did away with the positions of Chief and Assistant Chief and they were replaced with the Fire Marshal position. James Payeur was promoted to Fire Marshal and was in-charge of supervising fire services for the township. On top of all of those changes the department decided it was time to replace the 1971 Chevy 4x4 brush truck with a new Ford diesel 4x4 using the same pump and tank from the previous brush truck. In 1986, the Township board approved the fire department’s request to respond on life threatening medical emergencies. After an analysis of medical emergency responses, it was determined that fire service personnel were arriving before the ambulances and could begin lifesaving procedures. This increased the chances of survival for citizens with life threatening emergencies. The Township also determined that there was a need to replace the Tanker received in 1972 with a new Tanker that was capable of pumping 1500 g.p.m. and carried 3000 gallons of water. This Tanker is still in service to this day after being refurbished in 2002. One of the improvements during the process was the rear of the cab was enclosed for firefighter safety while responding. In 1991, the department developed the Rope Rescue team, which was trained to provide for high and low angle rescue services to the community. 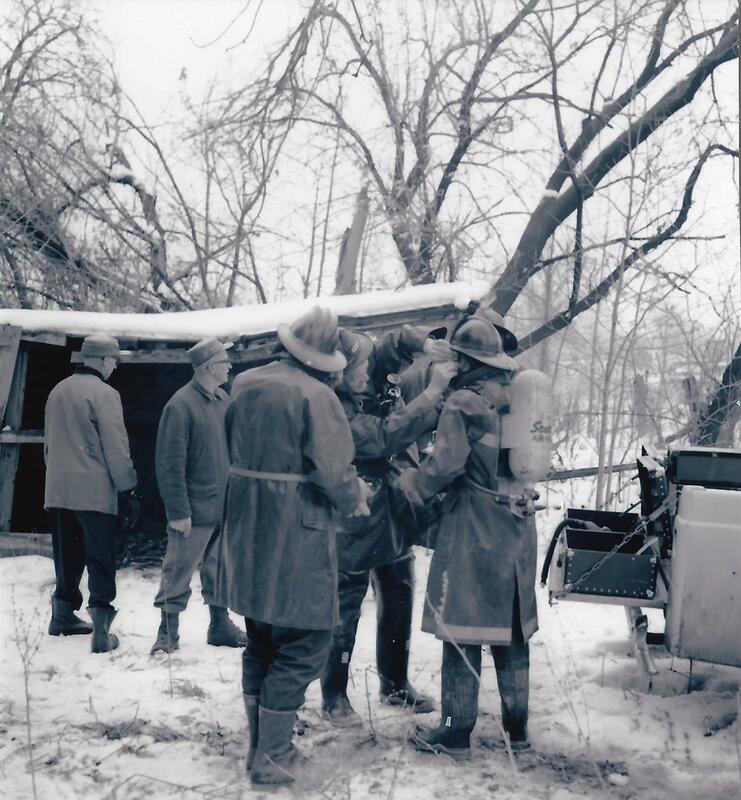 This team would later become known as the Technical Rescue Team and incorporate the Water Rescue Division (1996) providing ice and surface water rescues services and the Confined Space Rescue Division (1998), a team that MIOSHA has categorized as capable of entering permit required confined spaces. In 1992, the Sutphen Tower ladder was refurbished at a cost of $215,000; the body, aerial ladder, and compartments were all replaced to increase the longevity of the truck. This was also the year that construction on fire station 2 was completed, which is located on Ellsworth Road east of the Meijer. Two additional fire officers were added to the force to staff both stations during a 24-hour period. The addition of the two full time personnel brought the full time personnel to 1 Fire Marshal, 3 Lieutenants and 3 firefighters. with patients in cardiac arrests. In 1998 a new rescue truck was purchased, which replaced a 1971 Chevrolet Van, which carried the 6-bottle cascade system for refilling S.C.B.A.s. The department also replaced a 1981 Sutphen engine with a 1998 Pierce Dash, which has a 1500 gallons per minute(g.p.m.) pump, it carries 500 gallons of water, and 1600’ of 4 inch hose.In October 1999 the department received a generous donation of a thermal imaging camera. This state of the art camera enables firefighters to see through a smoke filled or dark environment. This aids fire personnel with search and rescue operations. The camera was one of only two in Washtenaw County at the time. The donation was valued at $18,000.00. 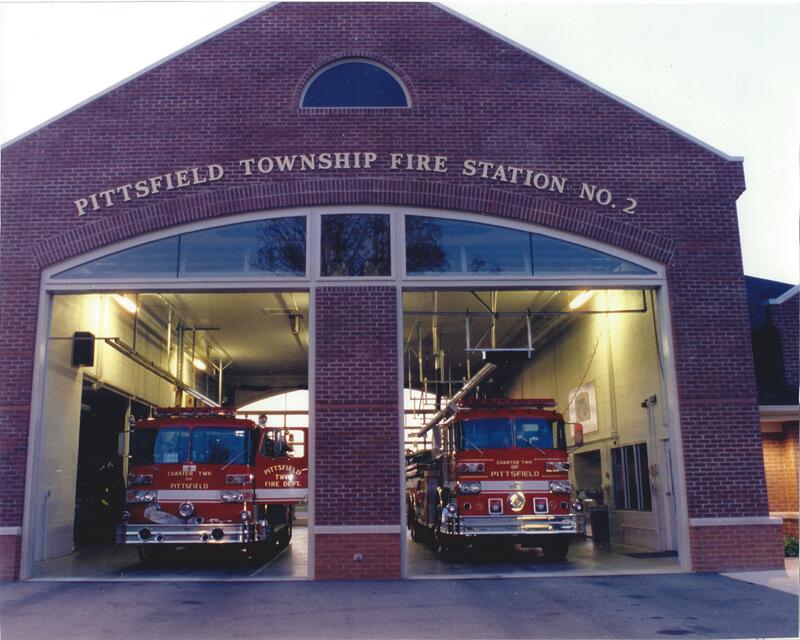 Due to a large increase in development within Pittsfield Township the demand for fire services grew and a study was completed to verify the need for an additional fire station to cover the western end of the township. 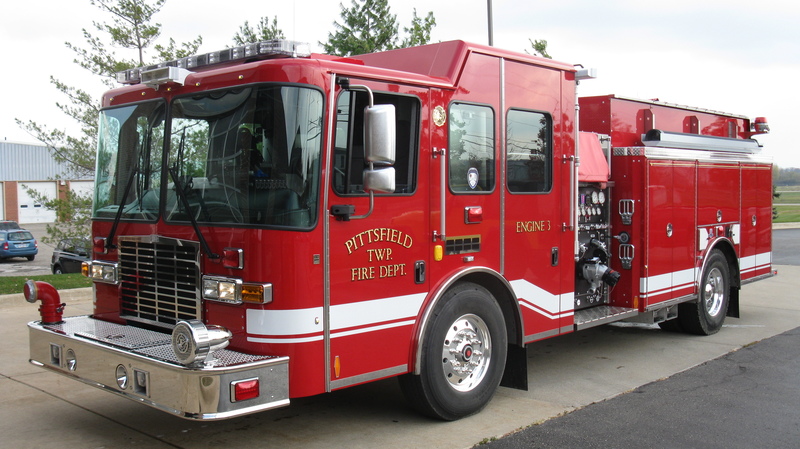 A site was selected behind Pittsfield’s first official fire station on Ellsworth Rd. In addition to the third fire station, a new 105’ ladder truck was purchased, and the addition of 6 full-time firefighters (3 Sergeants and 3 Firefighters). It also was when the Washtenaw County Hazardous Material Response Team became fully operational. 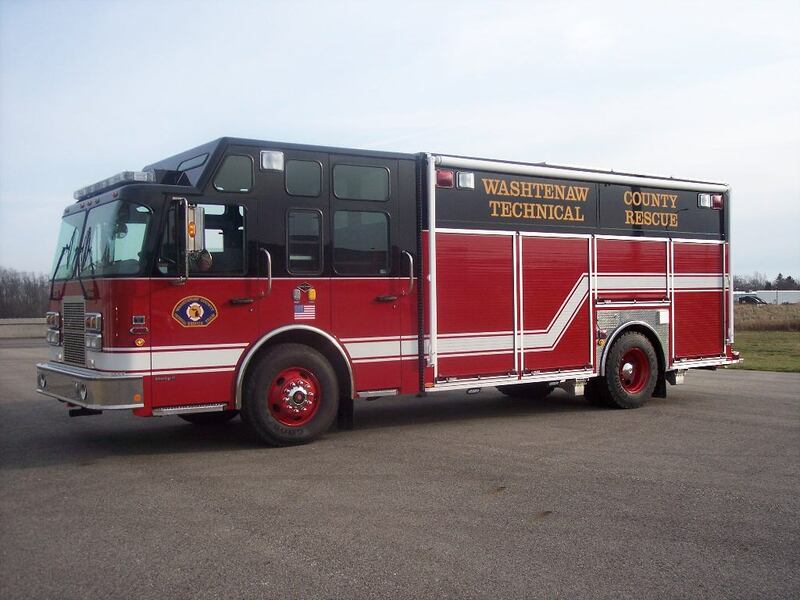 The joint county team comprised of most fire departments in Washtenaw County and is activated to respond to hazardous material incidents county wide. In 2004, James Payeur left for a Fire Chief position in Wisconsin and the Township took this opportunity to restructure the fire department. They changed the Fire Marshal’s duties to focus more on inspections and investigation and created the Deputy Director of Fire Services to oversee administrative and departmental operations. Lt. Alan D’Agostino was promoted to the Deputy Director of Fire Services. The Asst. Fire Marshal / Training Officer position was changed to the title of Fire Commander and then Sgt. William Moffett was promoted to Fire Marshal. The full-time personnel who were not already State Licensed Emergency Medical Technicians (EMT) or higher licensed Paramedics attended a 207 hour in house educational program to make them eligible for State of Michigan EMT licensing. In June of that same year, the department purchased a 28’ trailer. 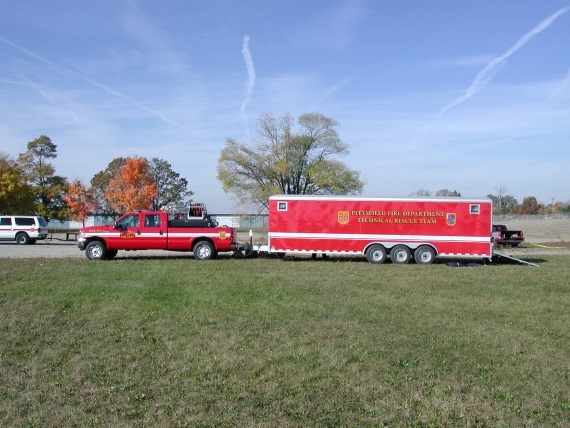 The trailer is used to hold the majority of the equipment confined space, rope rescue, trench rescue, and collapse rescue. 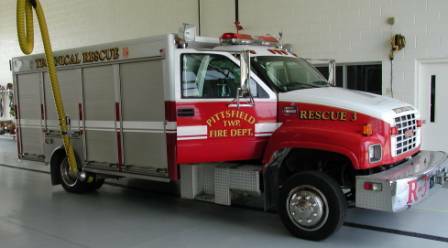 In 2010 The Pittsfield Township Fire Dept. Technical Rescue Team was folded into the Washtenaw County Technical Rescue Team. Pittsfield Township along with the Washtenaw County Emergency Operations Center were instrumental in the creation of this County Team. Pittsfield Township Fire Station #1 still houses the T.R.T. Trailer and County T.R.T. Rescue 17-1. 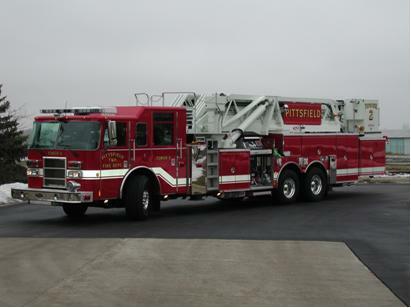 In 2005 the 1975 Sutphen Tower 85’ Ladder was replaced after 30 years of service with a Pierce 95’ Aerial Tower which could pump up to 2000 gallons per minute of water and provided additional compartment space for equipment. Some of the additional equipment was for use by a Rapid Intervention Group, this team is used for the rescue of trapped or lost firefighters. In 2010 the Township added an additional 3 firefighters to the staff, bringing the total number of on duty firefighters to 7. In addition to the hiring, it was determined that the 1998 Rescue truck was in need of replacement and a new engine was purchased from HME Fire Apparatus. 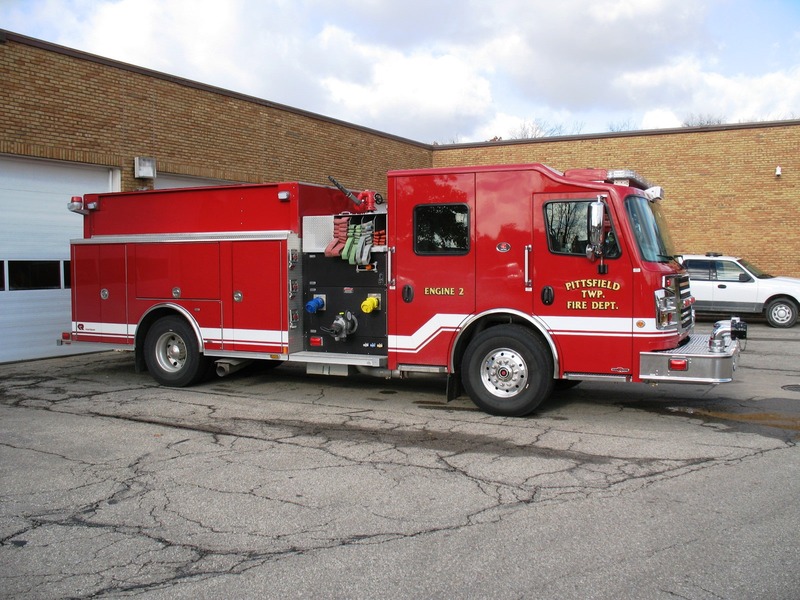 The new fire engine increased fire protection to the west side of the Township. Previously if the Rescue was out on a medical or an injury crash and received a fire call they could be arriving on the scene without the benefit of having pumping capabilities and have to wait for a fire engine to show. In January 2013 with the difficulty in retaining a paid on call firefighter staff the Township moved towards a full-time fire department, by eliminating the last of the paid on call staff and in February of 2013 added 3 full-time firefighters bringing the total number of firefighters to 26(including Chief and Fire Marshal), which provides 8 firefighters on duty a day covering 3 stations and approximately 28 square miles. 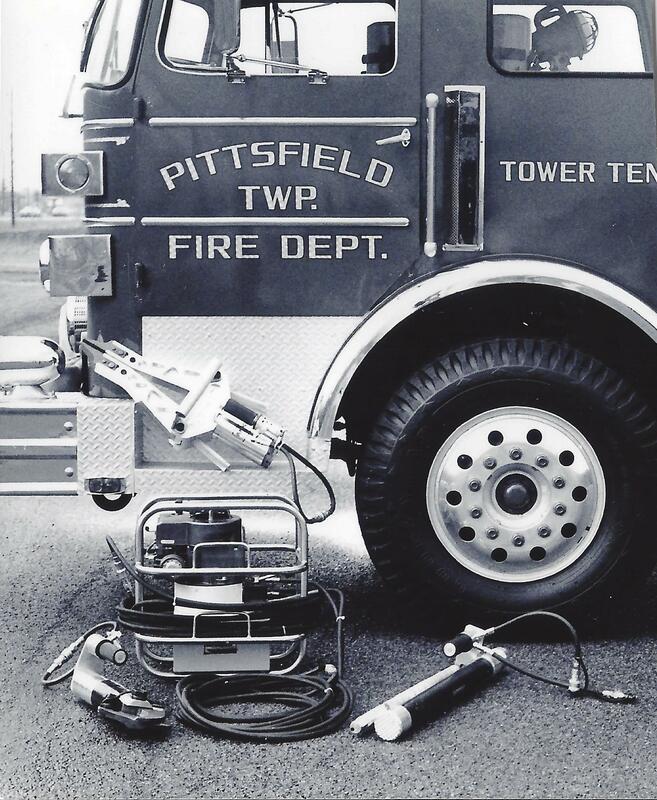 Also in 2013, a 1995 Sutphen Engine was replaced by a Rosenbauer Engine capable of flowing up to 2000 g.p.m..
What will the future bring to the Pittsfield Township Fire Department?